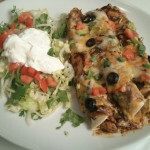 Rotisserie Mojo Chicken Enchiladas are one of my favorite meals because they taste great and can be eaten any day of the week. If you make the sauce and shred the chicken in advance, you can literally have these on the table in less than an hour. 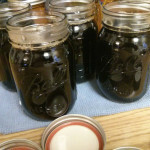 Homemade Kahlua can be used to make cocktails and as a topping or ingredient in several desserts, including ice cream, cakes, and cheesecakes. It can also be mixed with milk, cream, coffee, cocoa, and combinations of these. 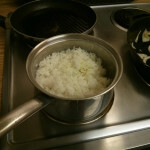 White rice is a staple food in many types of cuisine. Rice (all types) is the most important grain with regard to human nutrition and caloric intake, providing more than one fifth of the calories consumed worldwide by humans.